Have you ever tried to create several posts at once? Have you tried to edit several WooCommerce products? Are you tired of opening a lot of pages and wasting time to edit your posts? 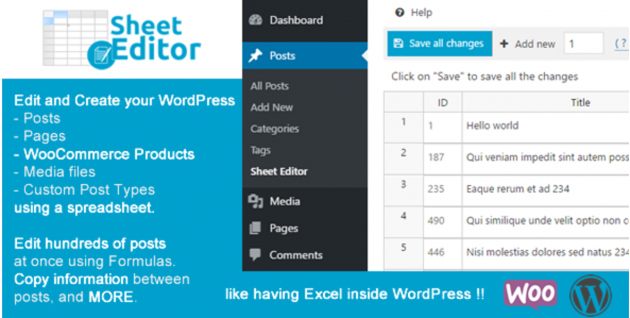 WP Sheet Editor allows you to view and edit posts, pages, attachments, WooCommerce products, and any custom post type in a spreadsheet. It is a custom spreadsheet specially built for WordPress. Today we are giving away 2 PRO LICENSES, valid for one website each. Two lucky winners will be able to use the plugin with all the features below. We also have a labor day promotion. Buy the plugin today and get 30% OFF with the lowest prices ever. b) Update any numeric field with a math formula. c) Add featured images to hundreds of posts at once. e) Copy information between posts. g) Create advanced categories or tags by merging other fields. m) Combine the values of 2 fields in a 3rd field. n) Add the date, author, category, etc. to all post titles. i.e. Post by [AUTHOR]. You can do anything that you can imagine. It’s like Excel for WordPress. It works with WooCommerce, Easy Digital Downloads, Types, Media attachments, Posts, Pages, and any custom post type. 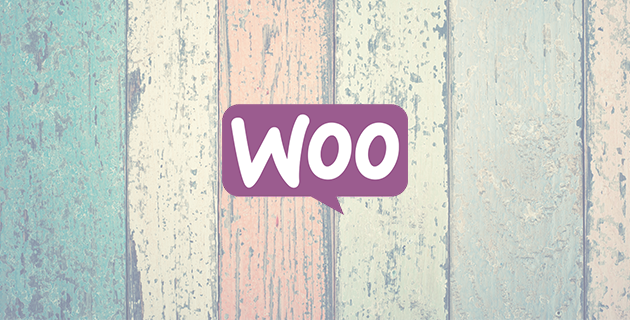 It works perfectly with WooCommerce. 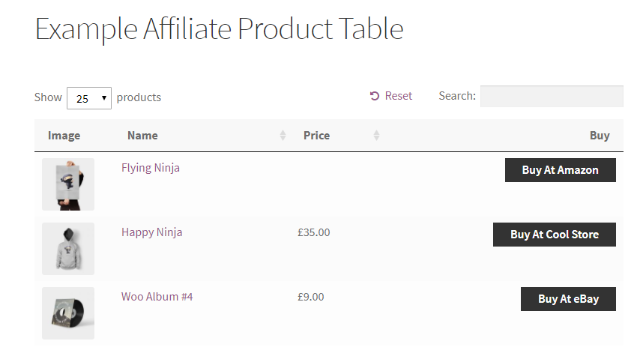 You can edit all product types, product Attributes, Variations, downloadable files, Categories, Prices, Gallery, and ALL the fields. e) It works automatically with Advanced Custom Fields. You can sort by any column, hide columns, change the order of columns, etc. Would you like to copy the posts to other website? Just copy and paste in the spreadsheet. Read more about the 30% OFF Promotion. As always we are asking you to enter the giveaway using the Rafflecopter widget below. We wish you the best of luck! very useful plugin. but a little bit buggy when selecting the cells. Previous Entry: New Relic to Stop Offering Free Features, What Are the Alternatives?